Buy One Set One Free is great if you like spicy smells. Imagine an incense filled hippie stall at a festival and wandering through a cathedral. This is what it smells like. Sandlewood, cloves, neroli, and lemon myrtle to name but a few. A very unisex fragrance and is totally glitter free. This is definitely a treat for your senses, turning your water into a lovely orange colour filled with spicy fragrance. A simple ballistic with a powerful message. Baths are already one of the greatest pleasures on earth, but they always feel better knowing you've done a good deed. 100% of all proceeds minus VAT go to human rights charity Reprieve, fighting to get Andy Tsege off death row. Kidnapped and held illegally by the Ethiopian government with no contact to his family or even a lawyer, today (March 20th) marks his 1000th day on death row. Read more about this HERE. What are your favorite limited edition Lush products? Which charities do you like to support? This sounds amazing, need to get one and for such a good cause that wouldn't normally be campaigned for, well done Lush!I loved the GAYISOK soap, it was so glittery and the smell was un-believable, I love how Lush work really hard in making their limited edition charity pieces something so unique. Awww I missed that soap. I really liked the badger one and the smell of the chameleon one was amazing too. What a great cause, and how fabulous that all the proceeds go to the charity. I'll definitely pop in and buy one. Did you buy one in the end? I've not tried their newer version of this. I used to get their older lush pud that was brown and smelt spicy. Would love to pamper myself and giving a cause for charity too. Great product. Thank you. Any excuse for a bath really. Helping others is a bonus. I love Lush perfume! Their products are amazing I need to try this, i never used their limited edition! It is worth popping in around Easter or other seasons as they often have limited edition items then. 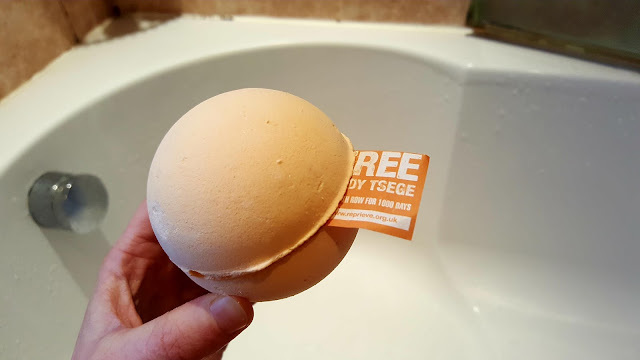 I discovered Lush products while traveling Europe and I absolutely love them! I have yet to try the bath bombs though so I'll definitely need to pick one up soon! Lush is everywhere. You can always smell it before you see it. Yay! The staff are lovely so I'm sure they can help you with the skin products. Dang not having a bath. Literally the worst thing about this house haha. Only place we've lived without one. I might have to get this one for my Dad as it doesn't sound too girly and he likes a bath because of his AS. Oh no. I used to live in a flat with no bath. Nightmare.